Buck Naked Politics: Thursday 13 #4---13 Quotes from H.L. Mencken. Thursday 13 #4---13 Quotes from H.L. Mencken. Note to Thirteeners and Others. If you leave a comment with your URL (even if you're not a Thirteener), we'll post your link on the page under our posting (making it a proper link for Technorati and Google purposes). Those who want to learn how to get in on the fun of Thursday 13 should just click on the badge. 13 Quotes by H.L. Mencken (1880-1956) who---in the words of my grandmother---was not a nice man. He was a genuinely complex person---bigoted and often vicious---but he was also a fierce proto-libertarian and one of the Twentieth Century's great writers. He was definitely the forerunner of contemporary curmudgeons such as P.J. O'Rourke and Christopher Hitchens. My 13 quotes---gleaned from this convenient page---follow this little excerpt from this biography page (for those not familiar with him or his work). Whether the reader agrees with Mencken or finds him infuriatingly coarse and incorrect, all can observe his technique with profit; it is rare in contemporary discourse. The criticisms he poses are nearly the same as those of famous literary expatriates including Richard Wright, Ernest Hemingway, and F. Scott Fitzgerald; the injustices (or at least incongruities) are the same ones fought by period Muckraker journalists such as Lincoln Steffens and Ida Tarbell. However, instead of decrying the "daily panorama of human existence, of private and communal folly" and calling for reform or improvement, Mencken says he is "entertained" by them. 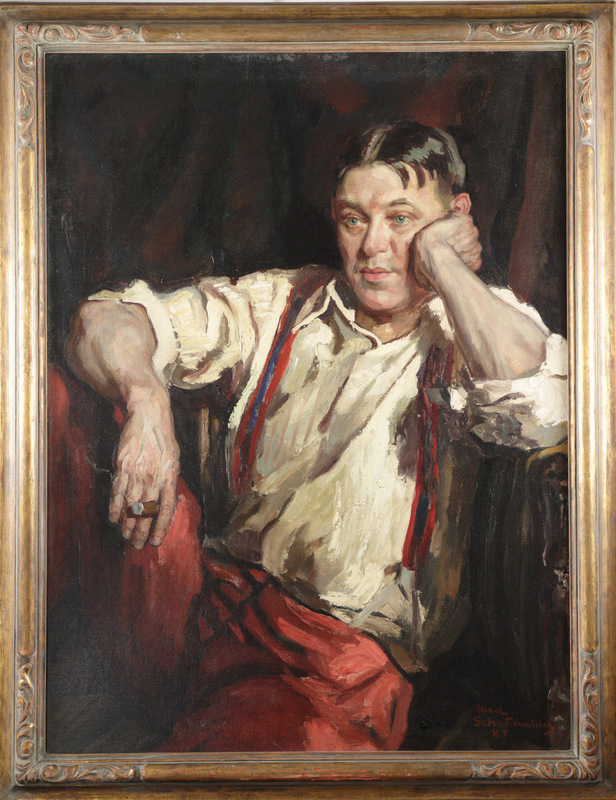 On its face, this approach displays a crass indifference and total lack of compassion; Mencken admitted as much, as it was part of his personal philosophy: a kind of fierce libertarianism inspired by a Nietzscheansocial Darwinist outlook derived from Herbert Spencer and William Graham Sumner, and a "Tory" elitism. Mr. Mencken's favorite method of showing people the truth is to attack falsehood with ridicule. He shatters the walls of foolish pride and prejudice and hypocrisy merely by laughing at them; and he is more effective against them than most writers who hurl heavily loaded shells of protest and imprecation. I chose my 13 quotes from the 156 listed on this page. 1. Democracy is the art and science of running the circus from the monkey cage. 2. Democracy is a pathetic belief in the collective wisdom of individual ignorance. 3.Democracy is the theory that the common people know what they want, and deserve to get it good and hard. 4. .Each party steals so many articles of faith from the other, and the candidates spend so much time making each other's speeches, that by the time election day is past there is nothing much to do save turn the sitting rascals out and let a new gang in. 5. A newspaper is a device for making the ignorant more ignorant and the crazy crazier. 6. Giving every man a vote has no more made men wise and free than Christianity has made them good. I believe in only one thing: liberty; but I do not believe in liberty enough to want to force it upon anyone. 8. War will never cease until babies begin to come into the world with larger cerebrums and smaller adrenal glands. 9. The most dangerous man to any government is the man who is able to think things out... without regard to the prevailing superstitions and taboos. Almost inevitably he comes to the conclusion that the government he lives under is dishonest, insane, intolerable. 10. The worst government is often the most moral. One composed of cynics is often very tolerant and humane. But when fanatics are on top there is no limit to oppression. 11.The whole aim of practical politics is to keep the populace alarmed by menacing it with an endless series of hobgoblins, all of them imaginary. 12. It is not materialism that is the chief curse of the world, as pastors teach, but idealism. Men get into trouble by taking their visions and hallucinations too seriously. 13. The one permanent emotion of the inferior man is fear - fear of the unknown, the complex, the inexplicable. What he wants above everything else is safety. BN-POLITICS THANKS THE FOLLOWING FOR THEIR COMMENTS. Lara at Ain't Nothing Like the Real Thing. Elle Fredrix at Elle Fredrix, Contemporary Romance Writer. L-Squared at Dog's Eye View. 7 and 5 are my favorites. Great idea for a TT ... :) #1 is rather amusing! I love Mencken...he is someone I am fairly familiar with...and he has bipartisan fans doesn't he? Which is unusual no? Terrific fun and humbling list of quotes...he really holds up over time!!! Sounds like a smart man:) Happy TT. the first one sounds like my house with two toddlers! ;o) This reminded me why politics make my head hurt. Very interesting--I don't think I've ever heard of Mencken before. Thanks for sharing! Interesting stuff. Definitely something to think about, dwell on, and reach a conclusion about -- in a few days, if not weeks. Thanks for broadening my mind tonight. And for visiting, too, of course! Interesting choice for a TT. This was a very enjoyable TT... I esp. liked quotes 1 and 5. All very true, especially 6. Hmmm... interesting. I think I agree with about 50% of those, maybe. Great idea for a TT. Thanks for sharing. 8 & 10 are my favorites. Very interesting list. Mencken can be very witty at times but I personally don't much care for him, particularly his attitude towards Christianity. I feel the same way about certain contemporary comics like Bill Maher and Penn Jillette. One can be funny without mocking others' deeply held beliefs. #12 and 13 are my favorites and the most true, IMHO. Interesting list! I had never heard of him before. He definitely spoke his mind and didn't worry about offending people! I have to agree with #5 though. Newspapers report things that are just plain wrong incredibly often. have to agree with #13! I'd throw in Churchill's famous quote on democracy if it hadn't been overused so much. Pretty interesting quotes. I like #4. Happy TT! Wow, these are great. Love your choices.